First and foremost, Happy St. Patrick's Day! In honor of today's holiday, I want to share Irish Soda Bread with you. Now, I've never tasted this bread before and didn't really know what to expect, but I was pleasantly surprised and delighted with the end result. 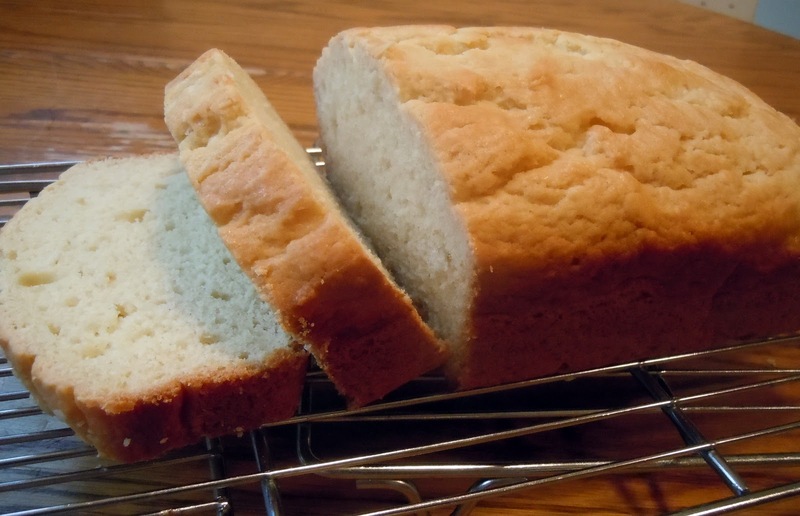 Although the name was misleading to me (I thought I'd be adding Sprite or Pepsi, but baking soda is the only soda involved in this equation) the bread was moist and sort of resembled corn bread. Since I've never had Soda Bread before, I'm not sure if that's the way the traditional bread tastes. But regardless, I'll take it! 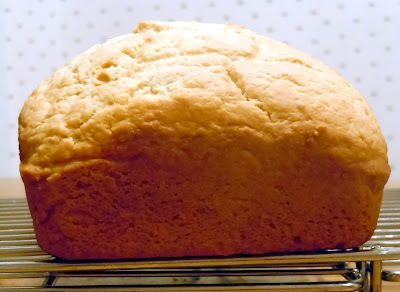 The name Irish "Soda" Bread comes from the baking soda that is used as a rising agent in the place of yeast. 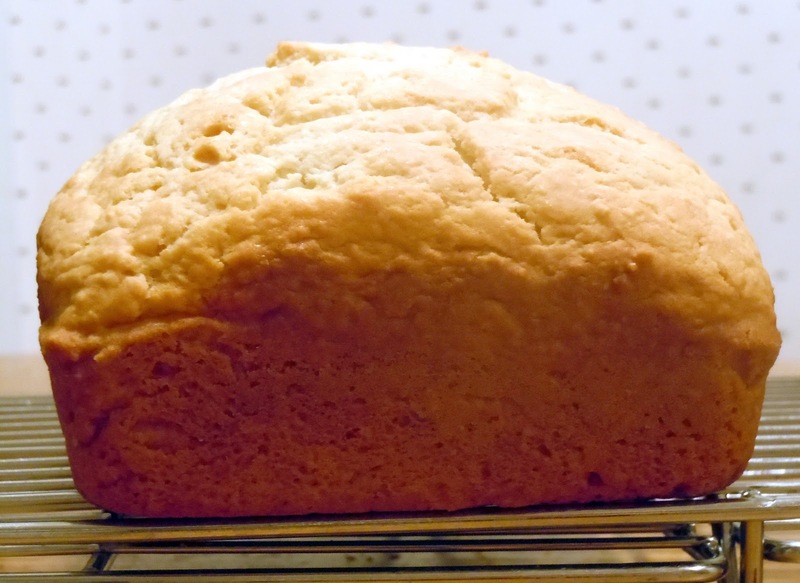 There are only four traditional ingredients in most Irish Soda Bread recipes, which include buttermilk, baking soda, flour and salt. I found this recipe that doctored it up a little, so I decided to go with it. It's also common to add raisins and/or caraway seeds to add a little texture. I left them out, but feel free to add whatever your little heart desires. The bread is best right out of the oven with a light spread of butter. I'm sure you could even eat it for breakfast with some jam! It's nice and moist on the inside and has a nice, thick crust. Enjoy and Happy St. Patrick's Day! Stir together the sifted flour, sugar, baking powder, salt, and baking soda. Cut the stick of butter into small pieces and add to dry mixture. Mix very thoroughly with your hands until it gets grainy. Stir in raisins if using. Add 2 1/2 cups buttermilk and egg to the flour mixture. Stir until well moistened. Shape dough into 2 loaves and place in the greased pans. Combine 1/4 cup butter milk and 1/4 cup melted butter in a separate bowl. Spread a light layer over the top of each loaf. Bake for 1 hour. Cool in the pans for 5 minutes and then transfer to a wire rack to cool. Wrap in plastic wrap and then aluminum foil. Bread will last 2-3 days.